Monica Pirani is a yoga and meditation teacher known for her personalized approach to teaching and her commitment to fostering community. 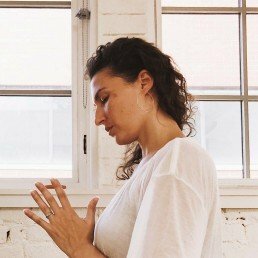 Her classes are a breath of fresh air in a busy city, offering a grounding and centering experience that stays with you on and off the mat. Outside of the classroom Monica mentors yoga teachers looking to further their studies, is an avid plant lady growing her plant collection and aligns herself with projects that empower and uplift marginalized communities.